A trio of popular comedy series for kids age 6-14 have received third season orders -- Disney Channel's Stuck in the Middle from executive producer Linda Videtti Figueiredo, BUNK'D from executive producer Pamela Eells O'Connell and Disney XD's Walk the Prank from executive producers Adam Small and Trevor Moore. Production on each will resume in the fall. Disney Channel's single-camera comedy Stuck in the Middle stars Jenna Ortega as a middle child, Harley Diaz, in a household bustling with nine people - two parents and seven kids - each with distinctive personalities and conflicting schedules. It also stars Isaak Presley as Ethan, Ronni Hawk as Rachel, Kayla Maisonet as Georgie, Nicolas Bechtel as Lewie, Malachi Barton as "Beast," Ariana Greenblatt as Daphne, Cerina Vincent as Suzy and Joe Nieves as Tom. New episodes from season two of Stuck in the Middle will premiere weekly on Fridays beginning September 15 at 8:30 p.m. EDT on Disney Channel and VOD. 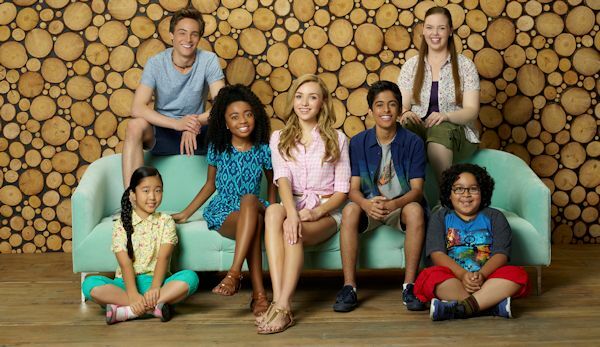 Disney Channel's live-action comedy BUNK'D follows siblings Emma, Ravi and Zuri Ross as they leave their extravagant New York City penthouse once again to return to Camp Kikiwaka, a rustic summer camp in Maine. Season three finds the Ross kids arriving at camp after several cabins were lost to fire. Upon learning that the camp's owner, Gladys, has absconded with the insurance money, the kids team up to save the camp using funds from their parents' deep pockets. Now owners and counselors, they reunite with cheerful country girl Lou to rebuild the cabins and boost morale. The sitcom stars Peyton List as Emma Ross, Karan Brar as Ravi Ross, Skai Jackson as Zuri Ross and Miranda May as Lou. During its second season, BUNK'D ranked #1 in its time period and, over the past year, has reached 61 million Total TV Viewers and amassed 25 million engagements via Disney Channel VOD and the Disney Channel App. Walk the Prank, Disney XD's broadly appealing hit that blends scripted comedy with hidden-camera pranks, follows a team of professional pranksters, Chance and his brother Herman and their best friends Bailey and Dusty, along with Dusty's Uncle Will, who pull off good-natured pranks to capture genuine and hilarious reactions for their online hidden-camera show. Some of the most elaborate pranks from the current second season include a mind-melding robot; an alien spaceship in the woods; and a jam-packed episode guest starring several NFL favorites, including Jason Witten (Dallas Cowboys) who teams up with ESPN SportsCenter anchor Cari Champion to prank a diehard Cowboys fan. 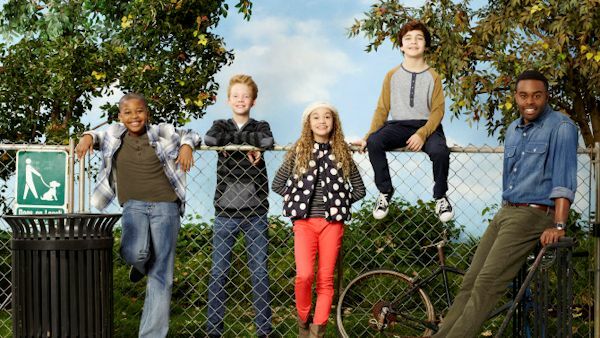 Walk the Prank stars Cody Veith as Chance, Bryce Gheisar as Herman, Jillian Shea Spaeder as Bailey, Brandon Severs as Dusty and Tobie Windham as Uncle Will. The special Walk the Prank: NFL Edition premiereed this past Saturday, (September 2), on Disney XD. Viewers can catch new episodes from season two of Walk the Prank Monday - Thursday, beginning Monday, October 2, on Disney XD, Disney XD App and VOD. As the tumultuous school year at North Jackson High continues, a new semester brings big changes - and Gamby and Russell are about to learn that the only thing harder than gaining power is holding on to it. 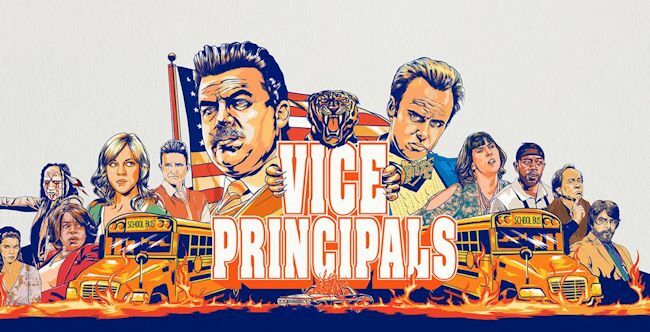 The darkest comedy on television returns to finish what was started when Vice Principals kicks off its nine-episode, second and final season Sunday, Sept. 17 at 10:30 p.m. ET/PT, with other new episodes debuting subsequent Sundays, exclusively on HBO. Danny McBride (HBO's Eastbound & Down; This Is the End) stars as Neal Gamby and Walton Goggins (Emmy(R) nominee for Justified; Six) stars as Lee Russell in the show, which was created by McBride and Jody Hill and shot in and around Charleston, South Carolina. Vice Principals also stars Kimberly Hébert Gregory (Devious Maids) as Dr. Belinda Brown; Georgia King (The New Normal) as English teacher Amanda Snodgrass, Gamby's on- and off-again girlfriend; Busy Phillips (Cougar Town) as Gale, Gamby's ex-wife; Shea Whigham (HBO's Boardwalk Empire) as Ray, Gale's impossibly nice husband; and Sheaun McKinney (Know Thy Enemy) as cafeteria worker Dayshawn. Joining the cast this season is Dale Dickey (Hell or High Water) as Nash, who was appointed vice principal of discipline in Gamby's absence. Guest stars on the second season include Fisher Stevens (The Grand Budapest Hotel) as a scholarly rival to Gamby for Amanda's attentions; Scott Caan (Hawaii 5-0) as a teambuilding trainer; Maya Love as Gamby's daughter, Janelle; and Susan Park (Fargo) as Russell's wife, Christine.